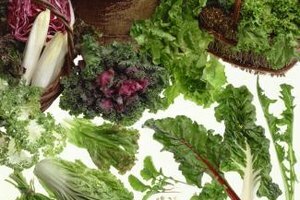 You can slow-cook other cooking greens, like mustard and Swiss chard. No traditional Southern dinner would be complete without collard greens on the table, a staple side dish in the South. Every family has its own version and the debate continues as to the specific ingredients that make "true" Southern collard greens. 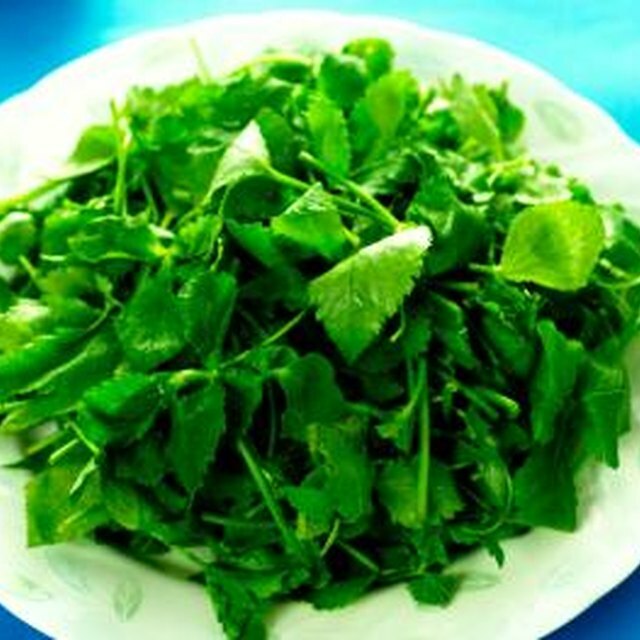 However, the basic method of simmering the greens slowly on low heat is the general guiding principle for cooking them. Using a slow cooker for simmering the greens can be a major convenience, as you can throw them into the slow cooker hours before you serve them, giving you time and stove space to prepare the rest of the meal. Rinse and pat dry the collard leaves thoroughly, then chop off the tough, woody stems. Tear the leaves into small, bite-sized pieces and set aside in large mixing bowl. Place one or two pounds of smoked ham hocks or smoked and chopped up turkey wings into the bottom of the slow cooker. Both are commonly cooked with collard greens to impart a smoky flavor and also add more substance to the greens. You do not have to include either meat, however. Saute diced onions and minced garlic in a large skillet drizzled with a thin layer of olive oil. Saute until the onions are translucent, then add them to the slow cooker. For two pounds of collard greens, you'll need about 1 cup of onions and three or four cloves of garlic, depending on how garlicky you want to the greens to taste. Wilt the torn collard leaves in the same pan used to cook the onions, adding in a little at a time. Use tongs to turn the collard leaves as the cook. The collard leaves will shrink significantly as they wilt, which will make it easier to fit them into the slow cooker, especially if you are cooking several pounds at one time. Season the collards with salt and pepper to taste. Transfer the wilted and seasoned collard leaves to the slow cooker and add 1 cup of chicken broth or chicken stock and 1/4 cup of cider vinegar for every 2 pounds of collards you are cooking. You can also add an optional 1/2 tablespoon of sugar, which helps to balance out the natural bitterness of the leaves. Mix everything together well in the slow cooker, then cover and cook on low for three to four hours. The collard greens are ready when they're very tender and the stock has reduced significantly. Taste and season more as needed before serving. For a flavor variation, stir in balsamic vinegar right after the collards are done cooking instead of using cider vinegar. Instead of ham hocks or turkey wings, you can also cook bacon and crumble it into the cooked collard greens before serving them.